An epic rugby league blockbuster will be fought out between the Dragons and Roosters when they meet in their annual ANZAC Day clash tomorrow, Live and FREE on Nine and 9Now. 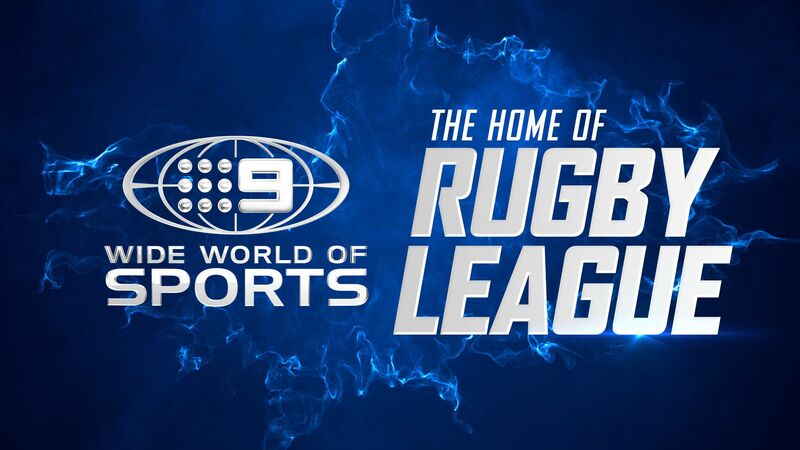 Kick-starting a huge week of footy with four NRL games Live and Free on Nine’s Wide World of Sports, the ladder-leading Dragons will be out to show they can do more than just start a season well against a soundly recruited Roosters side in an emotion-charged ANZAC Day fixture. Nine’s rugby league expert, Phil Gould, says: “The ANZAC Day match between the Roosters and Dragons is my favourite rugby league day of the regular season. It’s become such a wonderful event on the rugby league calendar and a chance for all of us to come together, remember and celebrate the ANZAC spirit, with the added bonus of a great game of football between these tremendous rivals. “The Dragons have been outstanding through the first seven rounds of the competition. Their attacking game, executed brilliantly through their halves Ben Hunt and Gareth Widdop, is the best in the NRL at the moment. They are lethal from all parts of the field. On Thursday Night Football, the Rabbitohs and Broncos will duke it out at ANZ Stadium with a need for speed on display in a speed-man showdown, with Broncos backline stars Jimmy “The Jet” Roberts and Anthony Milford up against Alex Johnston, Dane Gagai and Greg Inglis. Adding extra incentive for the Bunnies will be Greg Inglis in his 250th NRL appearance after a welcome return to form last week against the Raiders. The Panthers and Bulldogs will clash on Friday Night Football at Panthers Stadium in Penrith. The Bulldogs need a big performance to springboard back into contention and will have their work cut out against a classy Panthers outfit sitting third after seven rounds. The Panthers, led well by James Maloney in the absence of Nathan Cleary, will be wary of an inconsistent Dogs side with Kieran Foran pulling the strings while Aaron Woods and David Klemmer show the way in their forward pack. In Sunday Football, the Parramatta Eels – who are on a quest to keep winning after losing six straight to start the season – face off with Ivan Cleary’s Wests Tigers who are having a resurgent season. A big-name battle in the halves pits the crafty Luke Brooks-Benji Marshall combo against the electric Eels duo of Mitchell Moses and Corey Norman. These two sides met in Round 4, with the Tigers prevailing in the midst of the Eels’ horror start to the season. But after thumping Manly last week the Eels will be brimming with confidence to get two more precious competition points.